Come explore how mobility is taking the enterprise by storm not only externally with apps and mobile websites, but new ways to engage employees and still maintain information security. We are offering a series of free workshops presented by local Philadelphia businesses who are developing technology solutions for the mobile enterprise. Businesses know that they “have to be mobile” but many do not know where to start or if they are ready to support a variety of platforms and form factors with corporate applications and data. Navigate this complex landscape and develop a culture of mobile productivity within your digital workplace. The Bring Your Own Device (BYOD) phenomenon has taken enterprise IT by storm. Employees everywhere are using new devices such as the iPhone, iPad, and Android to access corporate resources and change the way that business is done. 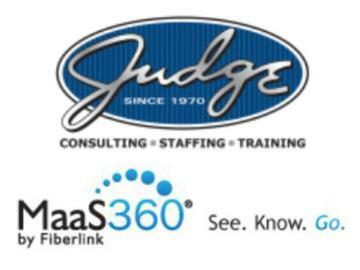 MaaS360 by Fiberlink, a leader in software-as-a-service (SaaS) solutions for secure enterprise mobile device and application management, will present industry trends and best practices for managing these mobile devices.